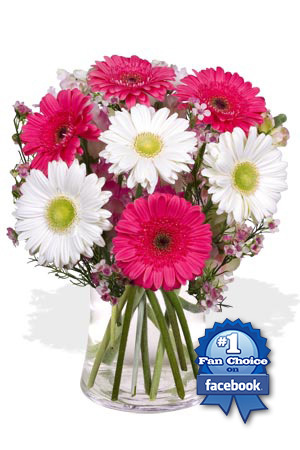 The sight of this chirpy collection of colourful Gerberas will have you whistling as happily as a bird. Shown here in a pretty combination of pink and white, Gerberas are available in a multitude of colours, make sure you specify your favourite colours.Vase not included however to better personalise your gift, we recommend adding a Premium Vase to accompany these Chirpy Gerberas. Ordered and paid for in UK delivered in Hillarys WA on time on Daughter’s birthday. She was delighted. Thank you sooo much and well done. The flowers are very nice. Delivery service is good.